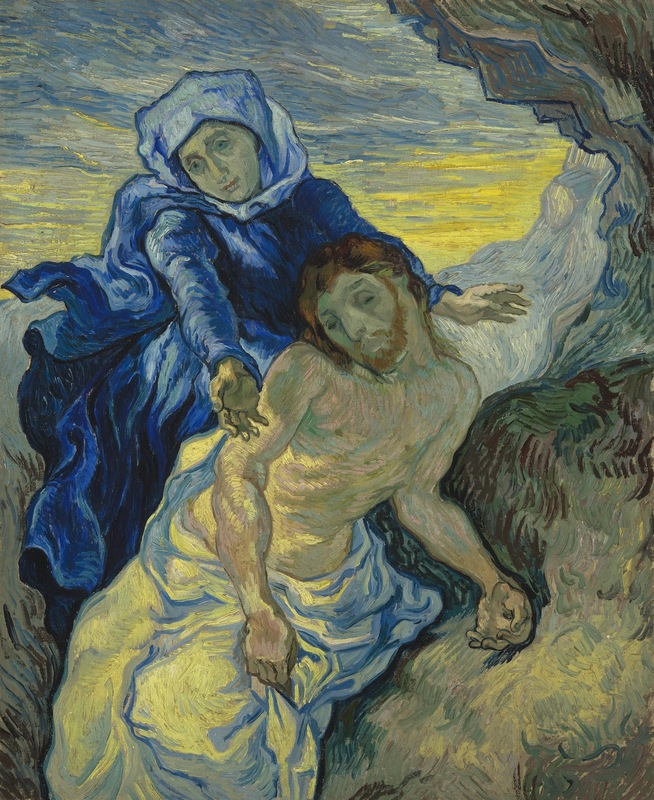 Van Gogh based his Pietà on a lithograph of a painting by Eugène Delacroix. This image of the Virgin Mary mourning the dead Christ is, however, more a variation on the original work than a copy. Van Gogh has taken Delacroix’s theme and composition and added his own colour and personal signature. The work was prompted by an accident: ‘that lithograph of Delacroix, the Pietà, with other sheets had fallen into some oil and paint and got spoiled. I was sad about it – then in the meantime I occupied myself painting it, and you’ll see it one day’. The lithograph, complete with stain, has survived.